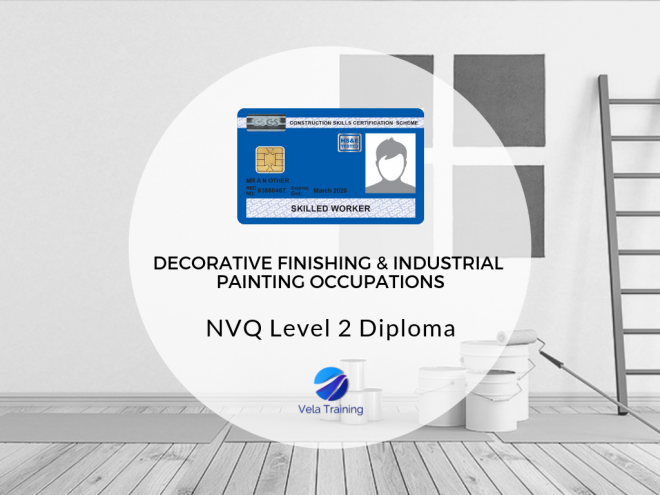 This qualification is aimed at those who are involved in preparing surfaces and applying decorative finishes to surfaces. It is not expected that candidates working in this industry all do the same activities; the qualification is structured to ensure that there is a high degree of flexibility within the units available. The qualification requires candidates to prove they have the skills and knowledge to prepare surfaces and apply paint by brush and roller and use access equipment but an additional pathway allows those also involved in the use of abrasive blast cleaners and applying paint by spray methods to have their achievements recognised. The qualification has been written in a way to allow employees from companies of all sizes and specialisms equal opportunity to complete. Achieving this NVQ will entitle you to the CSCS Blue Card. For a full list of our qualifications and CSCS card entitlements follow this link.